Front to Back Hanging File Rails- Herman Miller, Steelcase, Haworth and other leading mfrs. 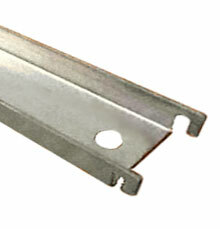 Front to back hanging file rails/file bars are made in the USA to OEM specifications. Front to back file rails allow you to convert your files to face you from front to back. Herman Miller, Steelcase, Haworth and other leading mfrs in stock ready for immediate delivery. Quality constructed "Clone Style" design exceeds O.E.M. specifications. Made from heavy duty aluminum. Overall Length is 15-11/16". Quantity discounts available. Overall Length is 15-3/4". Quantity discounts available. Quality constructed design exceeds O.E.M. specifications. Galvanized finish. In stock & available for immediate shipping! allows you to convert your drawers for front to back filing in Herman Miller File Cabinets. Quality constructed "Clone Style" design exceeds O.E.M. specifications. Quantity Discounts available. This bracket converts A, B, or E style suspended lateral file drawer to hold front-to-back hanging files. for Front-to-Back Filing in Hirsh Lateral file cabinets. Hanging for Front-to-Back Filing in a 30" or 36"" wide cabinet. provides front to back filing in all Ikea Effktiv file cabinets. allows you to convert your files to file front to back. allows you to file from front to back. Fits Knoll File Cabinets. Quality constructed "Clone Style" design exceeds O.E.M. specifications. Overall Length is 15-1/2". Quantity discounts available. allows you to convert your files to file front to back. Fits Office Specialty File Cabinets. Steelcase® File Rail Front to Back File Rails allow you to file from front to back in all Steelcase File Cabinets. Quality constructed "Clone Style" design exceeds O.E.M. specifications. Overall Length is 15-1/2"
Teknion® File Rail allows you to convert your files to file from front to back in Teknion file cabinets. Overall length 15-7/8"